Heather's undergraduate studies were at Boston University and a Bachelor’s of Music Education from UMass, Lowell. She has recieved Suzuki teacher training in Books 1 – 6 with Stevi Sandven, Michele George, Alan Lieb, Joanne Melvin and Nancy Jackson. She has worked as a public school General Music and Strings teacher on Cape Cod for 15 years. Her performances in chamber and orchestral settings including the Cape Cod Symphony and the Bridgeport Symphony in CT. Member of the Suzuki Association of America and ASTA. ​​"If I want to be a great bass player...I need to listen to bass players. If I want to be a great musician, I need to listen to all of music. If I want to transcend all of that...I need to find inspiration outside of music." "The role of the musician is to go from concept to full execution. Put another way, it's to go from understanding the content of something to really learning how to communicate it and make sure it's well-received and lives in somebody else." ​"When love is deep, much can be accomplished." 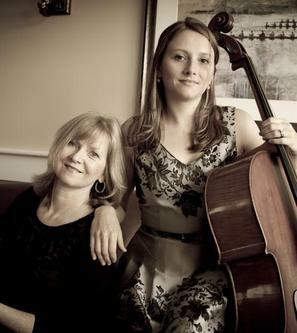 Krista's cello was built by the talented Cape Cod luthier, Don MacKenzie. 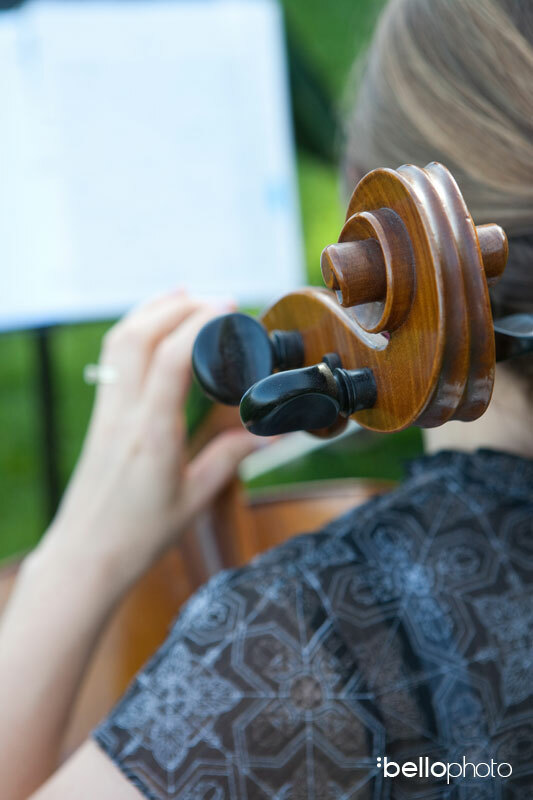 This cello has a beautiful rich tone that can fill up a church and carry through an outdoors setting. Heather's French 1898 D. Nicolas violin is sweet and strong. It's versatile and vibrant sound will surely lift your spirit and compliment your elegant wedding setting. Because we play such fine instruments, we try to protect them from the bright hot sun and, of course, misty rain. If covering is needed we appreciate having it provided for us, but we also have a large gray beach umbrella that we use when playing out in the sun. Krista grew up playing cello, piano, bass guitar, and guitar, in various school, church and family ensembles. As a college student, she studied cello and piano while majoring in English Language and Literature at Gordon College in Wenham, MA. Soon after, she earned her Master of Art in Teaching English at Salem State College and then worked as a certified high school English and History teacher for five years. In 2009 she switched gears and began working as a private music instructor and performer with the Cape Violin Cello Duo. 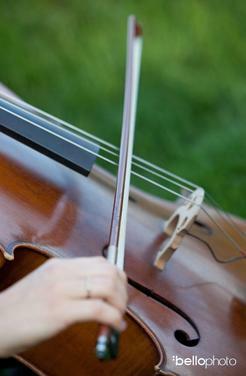 Over the years she has enjoyed performing at hundreds of weddings, built a home studio for lessons, taught cello at the Cape Cod Conservatory, recorded both traditional and her own original pieces, earned her Massachusetts teaching certification in Music K-12, and worked as a “wedding cellist” in an Adam Sandler movie. She currently teaches at Cape Cod Academy. She loves all things outdoors, running and spending time with family and friends.